This is my all time favorite dessert. 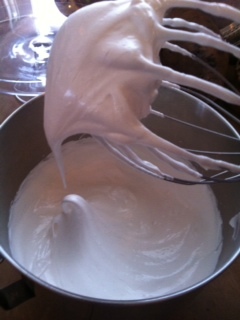 I blogged last year about the Grand Mariner cream https://dwellinginmiddleburg.com/2012/01/22/grand-marnier-sauce/ but I didn’t included a recipe for meringues. The Grand mariner cream uses 6 egg yolks, so you are left with 6 whites – all you add is sugar and vanilla to create the perfect base for berries and cream. 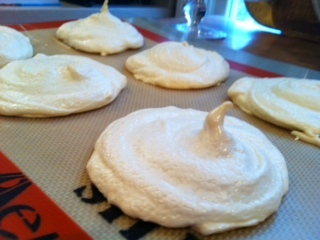 I have tried many recipes for meringues and this one works the best. 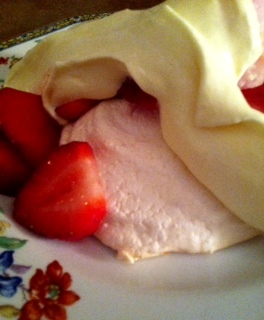 This entry was posted in Recipes and tagged dessert, Eggs, grand mariner cream, meringues, Strawberries. Bookmark the permalink.